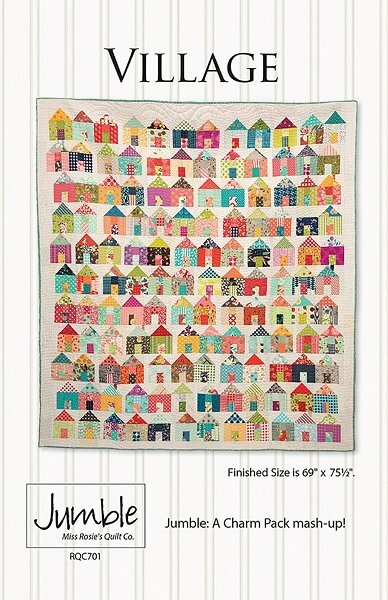 Kit includes pattern and fabric for houses, 300 5" squares. No two fabrics are alike! Background fabric not included.